Bet you thought this was going to be about something else eh? Nope! Not this time. 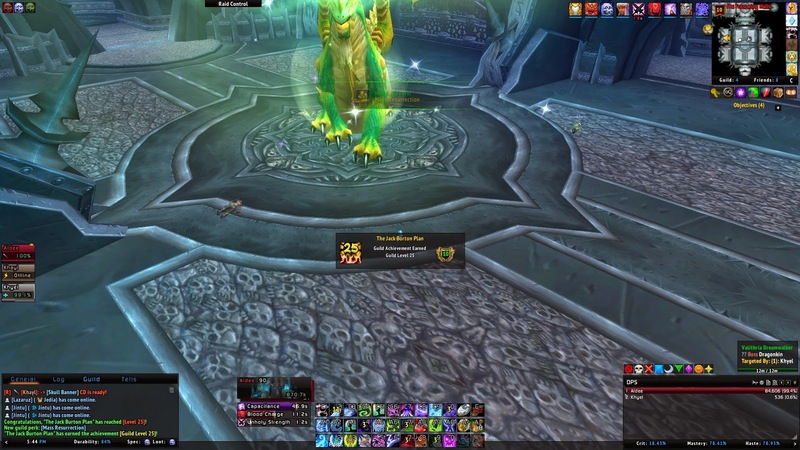 It’s about my lonely guild of about 5 players that finally managed to level our guild to 25. It only took about seven months, which is of course how long I’ve been playing now. I’m sure we could have cut the time substantially if we didn’t all have crazy hours and other responsibilities but it’s done now and we can stop being the only ones without Mass Resurrection. I do enjoy making everyone run back though so it’s bittersweet. 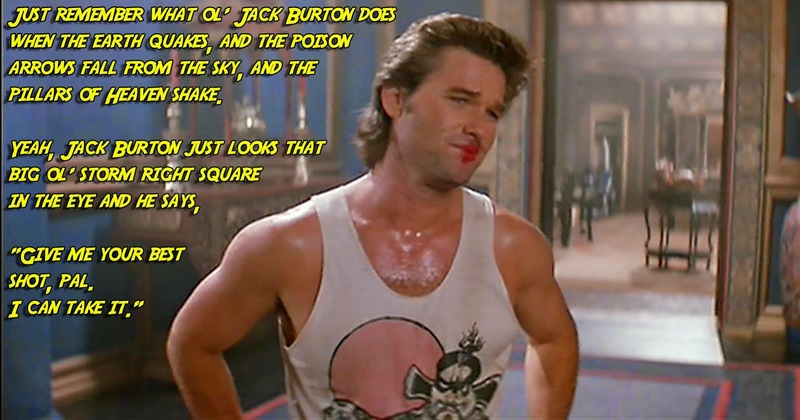 What would Jack Burton think? I’m sure he’d have something to say. I also just noticed that my playtime in WoW just surpassed my time in GW2. Never in a million years did i think this would ever happen. If you told me this around the launch of GW2, i’d have laughed in your face. Funny how things work out sometimes. That pesky Aion still at the top unfortunately due to a bug with the launcher. I’d like to eradicate that game from my memory.